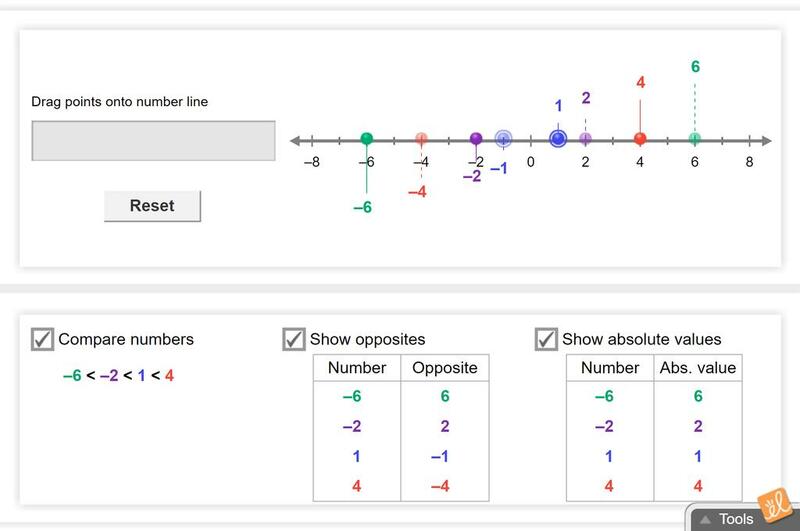 Compare and order integers using draggable points on a number line. Also explore opposites and absolute values on the number line. A user friendly worksheet that has space for students to write simple and expanded repsonses. Nice visual to reinforce ordering of integers.